Dallol is the world's only below sea level land volcano. 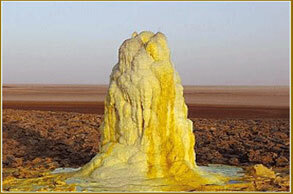 Dallol is in the Danakil depression is the lowest point and the hottest place on earth. Between 1960 and 1966 the annual mean temperature at Dallol was 34 deg. Erta Ale is an active shield volcano in the Afar Region of northeastern Ethiopia. 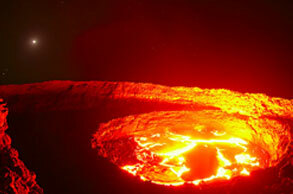 It is the most active volcano in Ethiopia. Erta Ale is 613 meters tall, with a lava lake, one of only five in the world, at the summit. It is notable for being the longest existing lava lake, present since the early years of the twentieth century. It is located in the Afar Depression, a desert area and the volcano itself is surrounded completely by an area below sea level. The Semien Mountains are a must for all those interested in wildlife, scenery and spectacular landscapes. The Park has been declared a World Heritage Site by UNESCO. 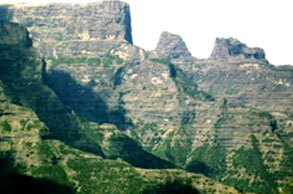 The Semien Mountains constitute one of the major mountain massifs in Africa. The region includes many summits above 4000 meters and culminates in the highest point in Ethiopia, Ras Dejen, at 4620 meters- the fourth highest mountain in Africa. Maximum temperatures during the day are about 15o Centigrade ( 60o Fahrenheit). At night the temperature usually drops to 3 - 5 o C (35o -40o F). It is home to the endemic mammals of Walia Ibex, Semien Fox, Gelada Baboons and many species of birds and plants apart from its spectacular scenic beauty. The walia ibex, a member of the goat family, weighs 80 - 125 kg (180 - 280 lb). It dwells on steep cliffs between 2500 - 4500 m (8200 - 14,750') in regions characterized by Rocky Mountains, gorges, outcrops and loose stony screeds. 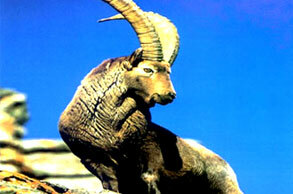 The walia ibex eats bushes, herbs, lichens, shrubs, grass, and creepers. It is mainly crepuscular. Males tend to form larger groups than females (except during the rut). Females form nursery groups during the birth season, rather than becoming solitary as do many ungulates. It has been suggested that this may be due to the risk of attack from large birds of prey (e.g. eagles and vultures). The walia ibex has always had a restricted range in Ethiopia. 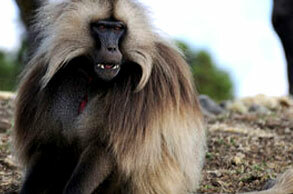 It has been found only in the Simien Mountains in northern Ethiopia in recent times. It is common to see troop of Gelada baboons in the Simien Mountains. Found only in Ethiopia�s high country, their 'sacred heart' a patch of bare skin on the chest distinguishes them from any other species of baboon. Simien wolf, endemic to Ethiopia, also known as the Simien jackal of Abyssinian wolf, is found in greater numbers in the Bale mountains than semien . The animal is the size and color of a European Red Fox, but with long legs, longer muzzle, and a striking black and white tail. The male and female are similar in appearance. Semien Fox feed on rodents, and as a result is mainly found at the higher altitudes where rodents abound. The Sanetti Plateau is an especially good area to see them, but they do occur in higher parts of the mountains, as well as down at Gaysay on rare occasions. The mountain nyala is endemic to Ethiopia and is limited in its distribution to Ethiopia's Bale and Arussi provinces. The stately and beautiful mountain nyala, another of Ethiopia 's endemic species, is best seen at Dinsho, the Park's Headquarters. Male mountain nyala are a sepia brown color that slowly gets darker with age, while females are of a pale liver color with a scattering of spots and stripes. 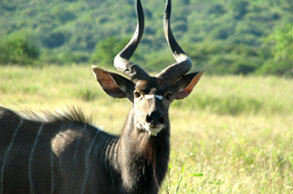 The mountain nyala weighs up to 300 kg (660 lb) and stands approximately 135 cm (53") at the shoulder. It is found in a mosaic of high-altitude woodland, bush, heath, moorland and valley-bottom grassland, from 3000 m (9800') up to 4200 m (13,800'). The mountain nyala eats herbs and shrubs and occasionally grass, lichens, ferns and fallen leaves. Mountain nyala living in forest may emerge into more open areas to feed at night. During the dry season, between January and March, most mountain nyala live above the forest edge in the heath. Females accompanied by one or two generations of young form frequent but impermanent associations with other mother-young groups. These are regularly joined or monitored by adult males. Omo National Park, the largest in the country, with an area of 4,068 square kilometres Located in the Southern Nations, Nationalities, and Peoples Region on the west bank of the Omo River , the park covers approximately 4,068 square kilometers. About 870 kilometers southeast of Addis Ababa. 306 species of birds have been identified here, while large herds of Eland, some Buffalo , Elephants, Giraffe, Cheetah, Lion, Leopard, Burchell's Zebra are very common. It is a vast expanse of true wilderness, adjacent to the Omo River, which flows southwards into Lake Turkana and is one of the richest and least-visited wildlife sanctuaries in eastern Africa. Eland, oryx, Burchell's zebra, Lelwel hartebeest, buffalo, giraffe, elephant, waterbuck, kudu, lion, leopard and cheetah roam within the park's boundaries. 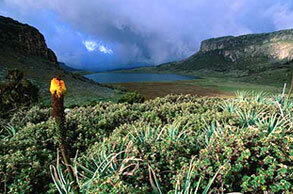 The Bale Mountains are a range of mountains in the Oromia Region of southeast Ethiopia, south of the Awash River. They include Tullu Demtu, the second-highest mountain in Ethiopia (4377 meters), and Mount Batu (4307 meters). The Weyib River, a tributary of the Jubba River, rises in these mountains east of Goba. The Bale National Park covers 2,200 square kilometers of these mountains. 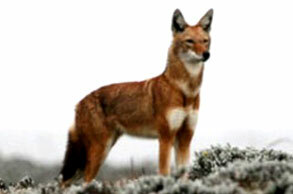 The Bale Mountains are home to many of Ethiopia's endemic animals, notably the Ethiopian Wolf, (Canis simensis), found on the Sanetti Plateau. The park also contains the Harenna Forest, situated to the south of the mountains which is a largely unexplored area thought to contain many undiscovered species of reptile as well as lion, leopard and various types of antelope. Besides wildlife the National Park offers exceptional trekking opportunities from the park headquarters at Dinsho .The largest group of Ethiopian Wolves is found here. Situated in the Great Rift Valley, only 200 kilometers (124 miles) south of Addis Ababa . Using Lake Langano as your base, it is an easy side trip to visit Abijatta-Shalla Lakes National Park, which is 887 square kilometers (550 square miles) in size, 482 (300) of these being water. The altitude of the park ranges from 1,540 to 2,075 meters (5,051 to 6,806 feet), the highest peak being Mount Fike , situated between the two lakes. The temperatures can be high, reaching 45�C (113�F) at maximum and 5�C (41�F) at minimum. Rain falls between March and April and June and September, averaging 500 mm (19.5 inches). The surrounding area is mainly acacia woodland, some of which is very degraded by man. Abijatta and Shalla are both terminal lakes but very different in nature. 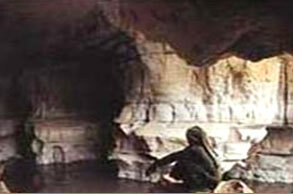 Lake Abijatta is 14 meters (46 feet) deep as opposed to Lake Shalla which has a depth of 260 meters (853 feet). The Park was created for the many aquatic bird species that use the lakes, especially great white pelicans and greater and lesser flamingo. There are over 400 bird species recorded here. 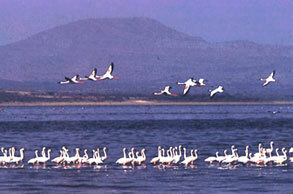 The birds use Lake Abijatta as a feeding center while using Lake Shalla 's island as breeding site. White-necked cormorant, African fish eagle, Egyptian geese and others are in abundance in the park. There is no Hotel accommodation in the park but lake Langano , which lies just over the main road marking the boundary, has two reasonable hotels on its shores, the Wabe Shebelle and the Bekelle Mola, from which all parts of the park are easily reached. 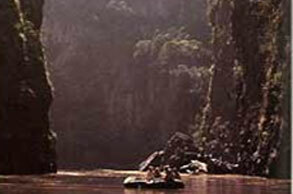 It is possible to camp inside the Abijatta-Shalla National Park at the hot springs and further south of the track east of Shalla, leading to be the Dedaba River and outpost. Camping in the Langano park is more advisable due to the better Camping accommodations. 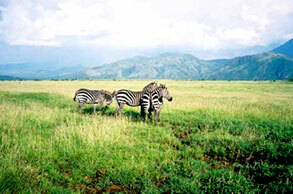 The Awash National Park is one of the finest reserves in Ethiopia. The Awash River, one of the major rivers of the Horn of Africa, waters important agricultural lands in the north- eastern part of Ethiopia and eventually flows into the wilderness of Danakil Depression. The dramatic Awash Falls as the river tumbles into its gorge is the site not to be missed in the national park. A special attraction is the beautiful clear pools of the hot springs. Awash National Park, surrounding the dormant volcano of Fantale, is a reserve of arid and semi-arid woodland and Savannah, with riverine forests along the Awash River. 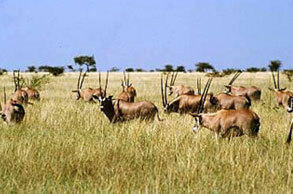 Forty-six species of animals have been identified here, including Beisa Oryx and Swayne's Hartebeest. The bird life is prolific especially along the river and in amongst the 392 species recorded. 350 species of birds are recorded in the park. Sof Omar, a tiny Muslim village in Bale region, is the site of an amazing complex of natural caves, cut by the Weyb River as it found its way into the nearby mountains. The settlement, which is a religious site, is named after a local Sheikh. Visitors to Sof Omar make their way-armed with torches and official map underground, far into the bowels of the earth, beside a subterranean stream, and there one can see an extraordinary number of arched portals, high, eroded ceilings and deep, echoing chambers. 2,162 sq km, 770km southwest of Addis Ababa, on east bank of Omo River. 450-2,528m. highest point is Mount Mago Mainly grass savannah, some forested areas around rivers. Conservation area for plains animals, 56 species of mammals: buffalo, giraffe, elephant, lelwel hartebeest, lion, cheetah, leopard, zebra, gerenuk, oryx. Situated 510km south of Addis near the town of Arba Minch, in between Lakes Abaya and Chamo. A wide variety of plains game roams freely amongst 514m2 of savannah, dry bush and groundwater forest, which are also the habitat of 188 recorded species of birds. Animals to be seen are Bushbuck, Swayne's Hartebeest, Burchell's Zebra, Grant's Gazelle, Guenther's Dik-dik, Greater Kudu, Crocodile, Anubis Baboon, Grey Duiker. Birds seen include Red-billed Hornbill, Grey Hornbil,l Fish Eagle, Kori Bustard, Abyssinian Ground Hornbill.. Lakes Abaya and Chamo are the twin rift valley lakes separated by a neck of land better known as a �Bridge of Heaven ". They are the integral part of the park. 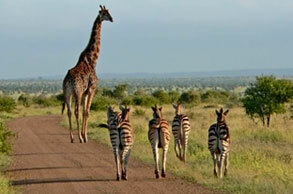 The park is home to Burchell's Zebra, Grant's Gazelle, greater Kudu and others. Various species of birds and crocodiles reflect the park's different habitat. The 188 bird species - including two endemic of the area are quite varied, reflecting the different habitats within the park. Both the red-billed and the gray hornbill are common here, and the Abyssinian ground hornbill is also seen. Also common are fish eagle, kingfishers, and rollers. Various bustard species are found in the park including the large and impressive Kori.